The main task of the book is to formulate a detailed analysis of what the sense of being in one or another type of intentional state consists of - an analysis of what I call the “modal structure of intentionality”. I argue that types of intentional states involve characteristic patterns of anticipation and fulfilment, which are essentially bodily and affective in nature. These patterns are central to but not exhaustive of the sense of being in one type of intentional state rather than another. Localized and more pervasive disturbances of affective anticipation thus amount to alterations of the modal structure of intentionality, which are sometimes pronounced enough to erode phenomenological distinctions between broad types of intentional state, such as perceiving, remembering, imagining, and thinking in inner speech. The next step in my argument involves emphasizing the extent to which and the manner in which the anticipatory structure of experience is interpersonally sustained and regulated. It follows from this that a change in how one relates to other people in general is, at the same time, a change in the structure of intentionality. 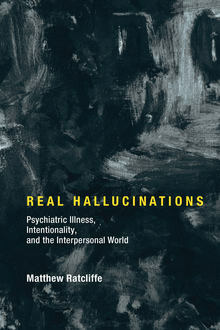 To develop my case, I consider forms of experience associated with trauma, schizophrenia, and profound grief. I maintain that the modal structure of experience is essential to what we might call the most basic sense of “self”, and so the integrity of self-experience depends on a certain style of immersion in the interpersonal and social world. All forms of psychiatric illness that involve disturbances in the structure of intentionality are thus relational rather than individual in nature. This has potentially important implications for the causal explanation, classification, and treatment of psychiatric illness.